Hedge Protection Ministries LLC. 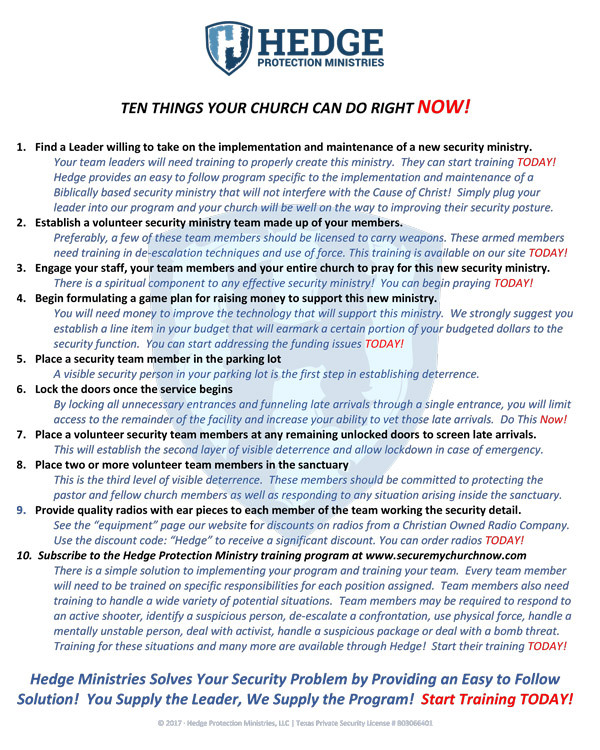 does not sell security equipment, however, we have partnered with Christian Owned companies who have graciously agreed to support this ministry with discount equipment pricing for our membership. The following links are for those companies. Make sure you identify yourself as a subscriber to Hedge at the time of order to get your discount. Two Way Radio Gear Inc.
Use Promo Code: SECURITY and save on your order.